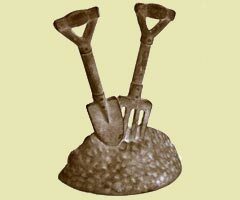 On this page we have a lovely selection of gifts that we know will be much appreciated by the gardener in the family. 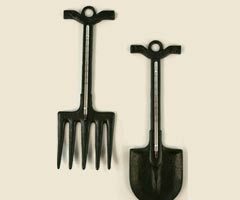 Any gardener would love this present. 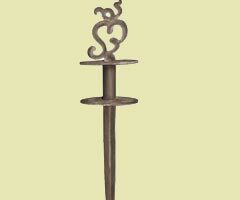 A very attractive cast iron door stopper - use it to keep the greenhouse door open. 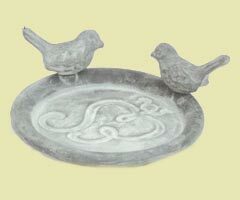 Plant saucers enhance your houseplants and look really pretty on windowsills. 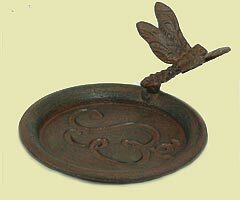 Another enchanting plant saucer this time shown in a rust finish. 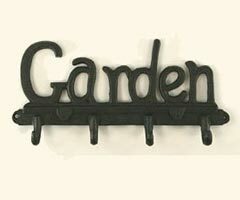 Ideal for use in the greenhouse or potting shed to hang up your hand tools. Many gardeners grow flowers and herbs for drying. 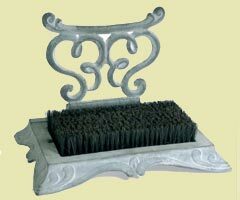 The task is made all the easier with this dryer Looks good too! 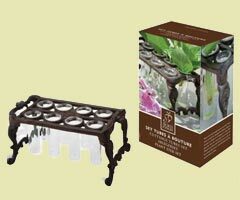 A string line for the vegetable garden is a really useful tool to make sure the crops are in neat rows. Great present! 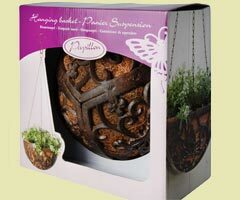 Can be used for our butterfly hanging basket or any small hanging basket. 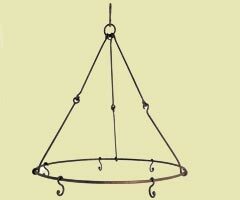 A small well made hanging basket which would look lovely in a courtyard garden. 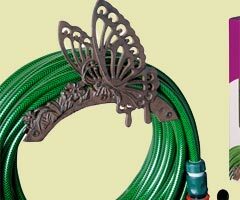 A very pretty cast iron hose holder to keep the garden hose neat and tidy. 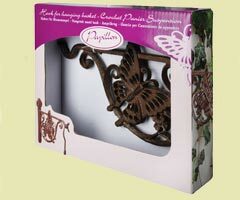 A range of cast iron butterfly gifts - all boxed. 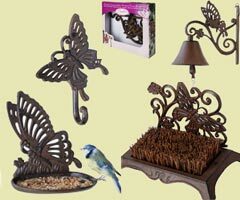 Includes hooks, bells, bird feeder, boot scraper, hanging basket & a boot brush. 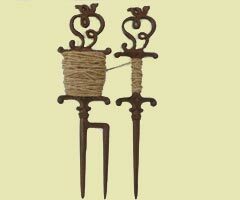 Need to hear the postman or tell the family dinner is ready, do so with style. 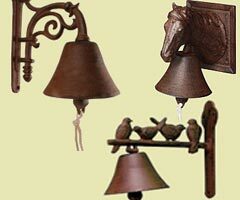 Well made cast bells - give a good sound and great look. The P&P rate brackets are listed after the price. There is a postage discount for more than one item.